In Medieval Bordeaux, as in towns and cities all over the world, craftsmen would set up shop alongside fellow specialists of the same trade. The proximity was of interest both to the craftsmen and their customers: by being located close to each other, the craftsmen could club together to order supplies, and the customers knew that they would be able to view a wide spectrum of wares in their line of planned purchases without having to drift too far. The world over, the names of streets continue to reflect the trades that were present there. 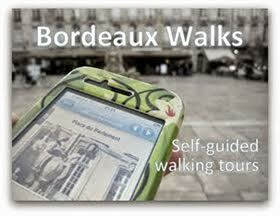 Examples in central Bordeaux include Rue des Herbes, Rue des Argentiers (silversmiths), Rue des Boucheries (butchers) and, the road we find ourselves on today, Rue des Bahutiers. A “bahutier” made “bahuts”, which were wooden chests or trunks and a staple item of furniture in Medieval homes. From the 19th century onwards, the term was also used in general reference to sideboards, cupboards or wardrobes (as well as becoming a slang term for "school" used by pupils who probably feel they spend their days locked in a cupboard!). Rue des Bahutiers was the name given to this road in the 18th century to reflect the presence of these trunk-makers, although they weren’t the street’s first residents. It was previously known as Rue d′Enfer (dauntingly, Hell Street), Rue deu Putz (Well Street in Gascon), Rue du Petit-Judas and Rue deus Judius (Jew Street in Gascon), the latter in reference to the Jewish money-lenders who operated there. 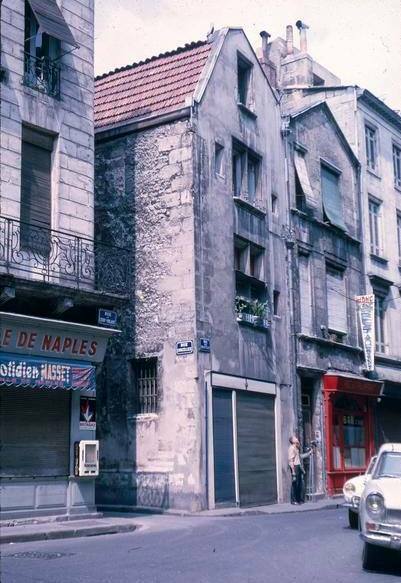 The two bahutier shops and residences pictured above, which feature restored architecture that is typical of the city's merchant bourgeoisie, pre-date the name change by some margin: number 49 (on the left) dates from the 15th century, while number 47 was built in the 17th century. 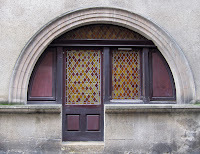 Both feature distinctive arched doorways which would originally have given onto the bahutier’s shop and workshop. Gazing upwards at the rest of number 49's façade - made of quarry stone covered with roughcast limestone - adds another dimension to the story. Behind the large first-floor window were the living quarters of the bahutier and relatives/extended family. 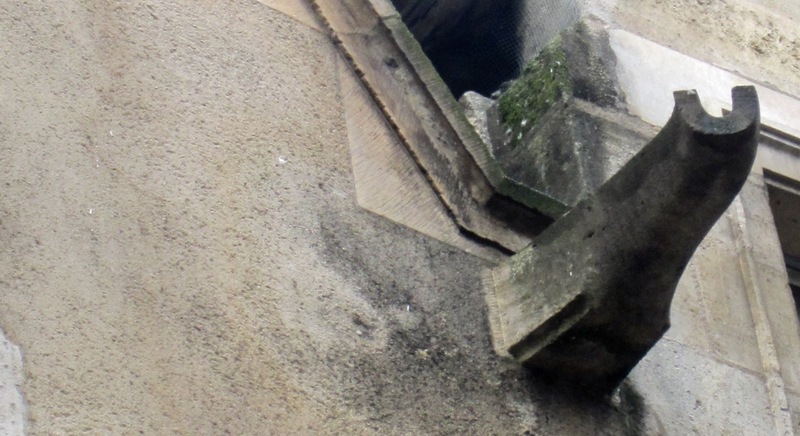 Mullion and transom bars split the window into four quarters, enabling plenty of daylight to enter the room without the whole building collapsing: as well as aesthetic qualities, this cross-shaped design was as structurally vital as a supporting wall. 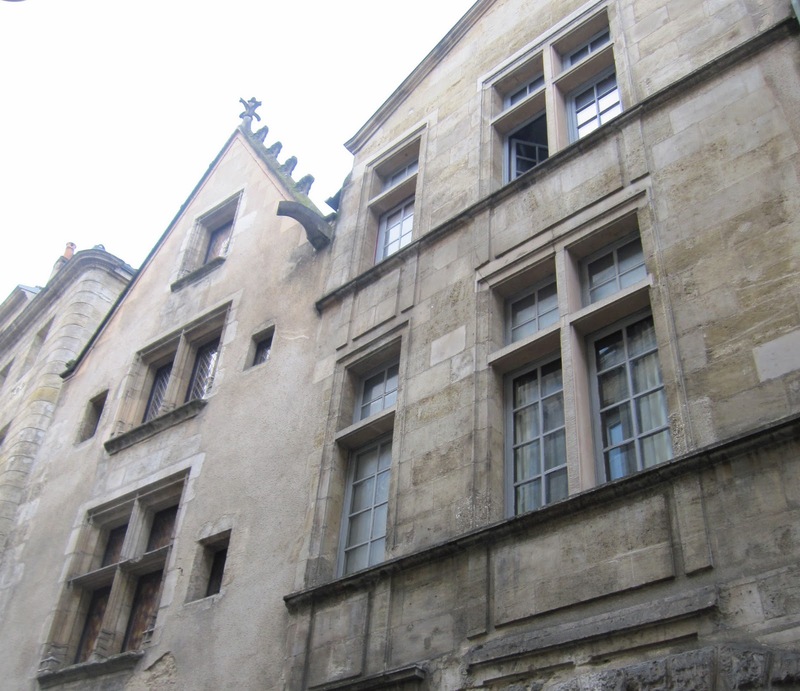 The smaller window on the second floor was the communal sleeping quarters while the diminutive window at the top shows where the apprentice or maid would sleep. The top of the building is also typical of its era. 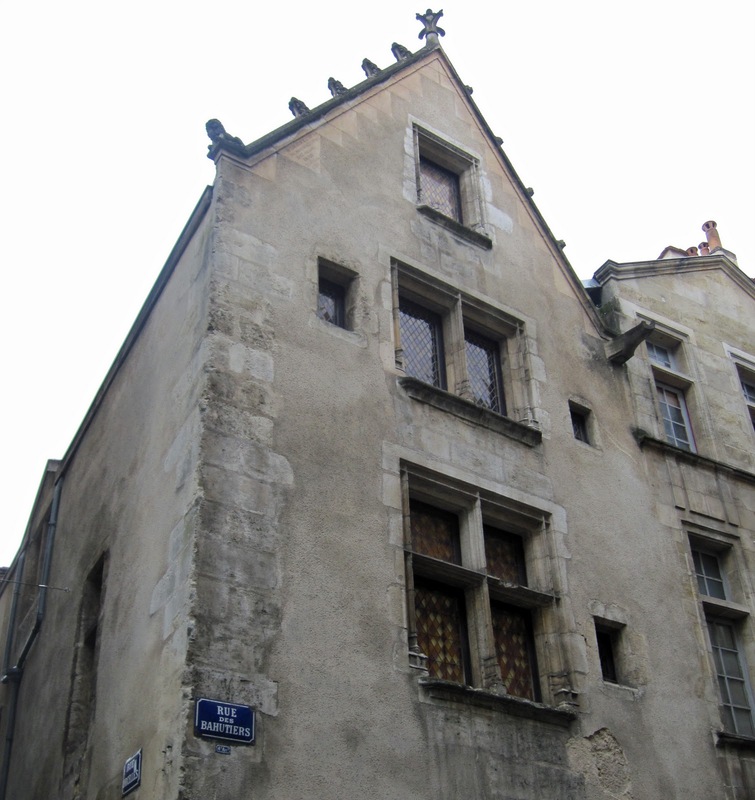 This style of steep sloping roof, covered here with flat tiles and ornamental features including a perched lion, was known as “à la guise de France” (in the style of France). 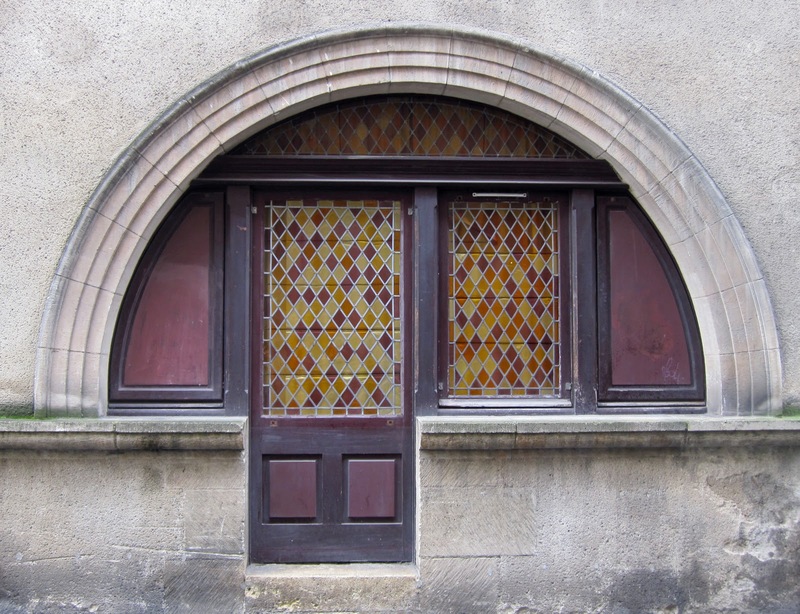 The more gentle 30% slope of its younger stone-façaded neighbour was known as “à la guise de Bordeaux”. Meanwhile, back at number 49, even in these modern times it might be best to avoid standing directly below the right tip of the roof when the weather is bad. The spout of the gutter is no doubt an extremely effective means of rapidly channelling rainwater from the roof to ground level! Today, the two buildings share a single entrance and are solely residential. They were jointly restored in 1985 as part of a project led by local building company Dagand with expert guidance from one M.J. Leroy of the state architects Bâtiments de France. It is incredible to see shots of what they looked like prior to the 1985 overhaul, as shown here in this superb photo published by Patrick Moyon on the "Bordeaux, je me souviens..." Facebook page. 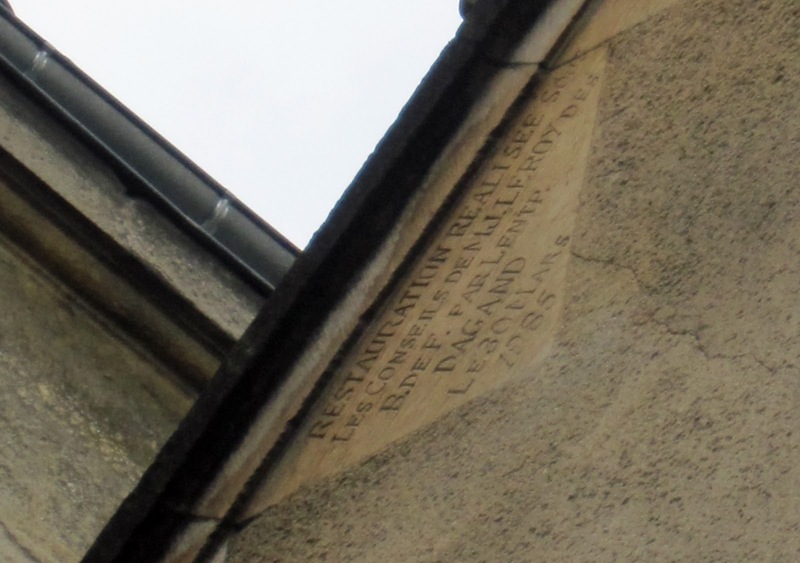 The 1985 endeavour is quietly celebrated by an inscription that has been subtly added just below the roof of number 49... a low-key way of celebrating this 20th-century helping hand to the city's Medieval heritage. These buildings have been lovingly drawn and analysed by artist René Fontaine. Interesting post and I love the architecture, not sure I would like to be walking down the road when that spout is funnelling the water of the roof! I should really head back there one day when it's pouring with rain just to see what it's like! If I take some soap along with me I could probably enjoy a free shower! That's a fine selection of bins in the third photo. What's that all about? Those bins are not to be rubbished! 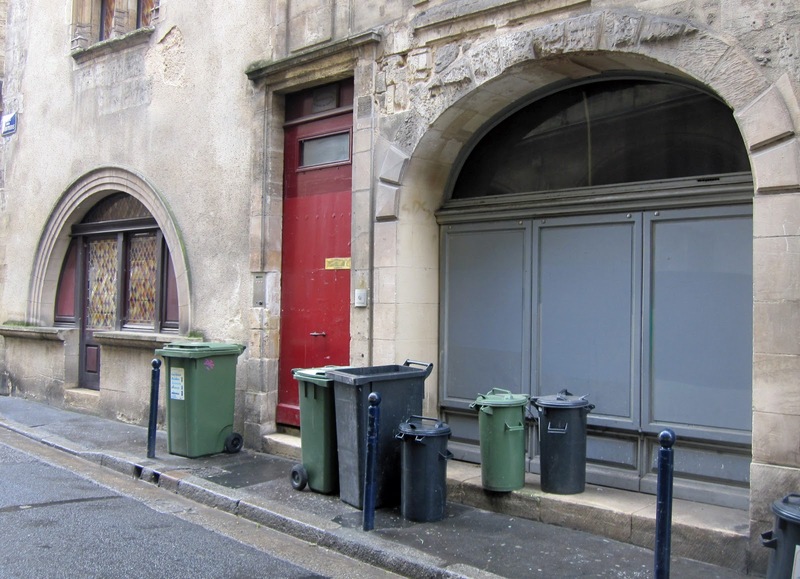 "Trashy" puns aside though, attempts to get people in central Bordeaux to sort through their rubbish is resulting in lots of differently-coloured and shaped bins being left outdoors most of the time - much to the displeasure of council and local tourist board... so much so that it is becoming a bit of a hot topic. 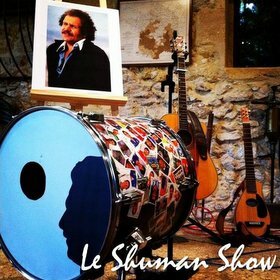 Check out these two recent Sud Ouest items, here and here. Great article.. happy to come across it as I walk past this building most days to go and get the bread (at the best bakery in Bordeaux! http://tinyurl.com/b8shsp6). I always pondered to myself what this building could be as it really doesn't fit the same style as all the other buildings in the same area. I thought it could have been a sort of chapel! Good find in an out of the way place!